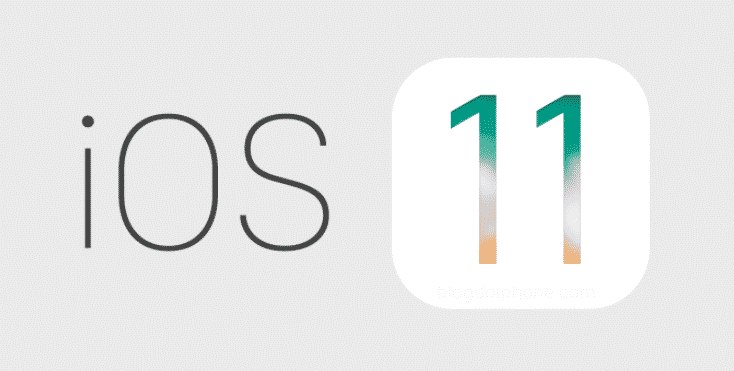 Autumn 2017 Company Apple introduced a new version of the operating platform IOS Under the number 11. The creators of iOS added to the next update several interesting innovations that are useful and exciting for the user. The first thing that attracts attention is the new software design. The status bar is updated - the indicator points have changed to sticks. Now it looks more compact and neat. Circles from the tenth version disappeared, and the battery icon became translucent. The thin font in the system is removed, now it has been replaced by bold. The section headings from this change have become huge and not quite neat. You can also see bold in standard applications. Icons received a redesign, but only in some of the applications, for example App Store. 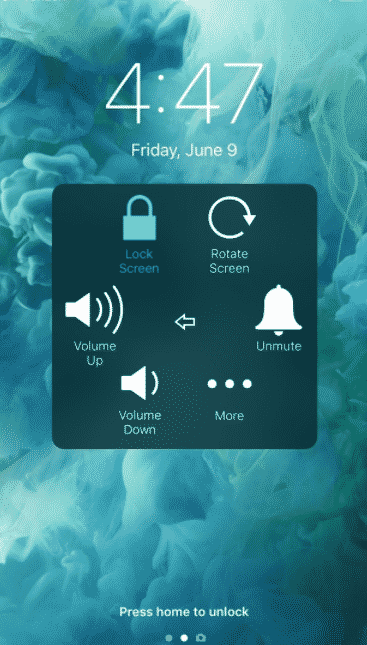 The lock screen in this version is integrated with the control center. Here you can see the time and date, and if you drag your finger down the screen, you will notice a list of unread notifications. Swipe to the right will lead to the page with widgets, and to the left - to the device's camera. The new version has an emergency call feature. To start it, you will need to press the power button five times. 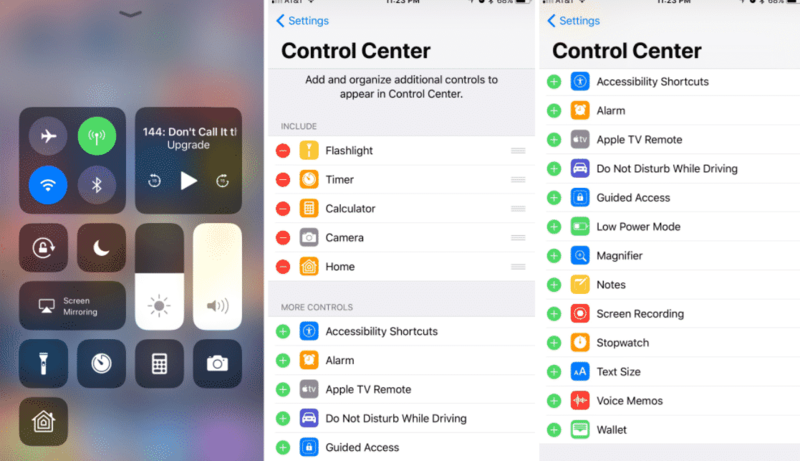 The control center system has undergone the most recent changes. Users were allowed to independently configure the system - add and remove switches. Normal tap allows you to connect and disconnect functions. Long tap opens up additional features and advanced settings for some parameters. The Today tab contains a list of current programs at the moment according to the version of the Apple editorial team. In the tabs "Applications" and "Games" - a list of all the programs presented, divided into categories. 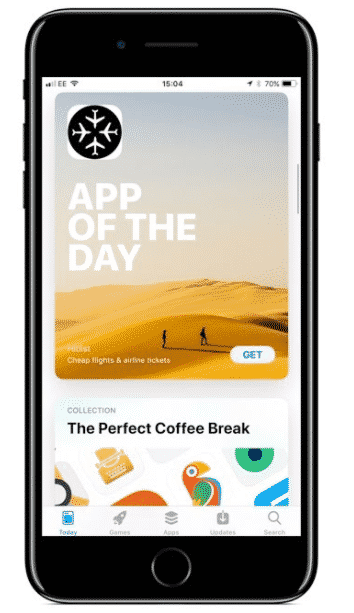 The App Store is equipped with a fully upgraded search function that greatly simplifies this process. You can download on a mobile network up to 150 megabytes, which is 50 MB more than in the previous version. Messages also work in a new version a little differently. Now users have the ability to quickly select emoticons, stickers and animations in the format gif. It is also possible to send payments between users. The keyboard can now be used with only one hand. New Quicktype will be equally convenient for right-handers and left-handers. In landscape orientation it is inconvenient to use the keyboard, the keys are not systematized and built illogically. Now the IOS system allows you to store all the passwords and logins that are used in different social networks. Sharing a Wi-Fi password with another device has become easier. It is enough to attach one device to another. A gyroscope has appeared in the Camera application, new filters and features for compressing photos and videos have been added, which will save disk space. Code scanner added to settings QR. There have been a lot of changes in standard applications, briefly select some of them. Application "Photo": Support animation in gif format, effect"long exposure». Application "Notes»: You can scan documents, cut off excess and paste into a note. Application "Cards": You can easily navigate the building, relying on the plan, unloaded from the application, the function"do not disturb the driver». New program of screenshots works quickly and clearly. The editor will appeal to users who often publish screenshots on the web. With the new feature "Screen Recording" you can store the finished video in a photo stream. The next IOS update is available to smartphone users. IPhone 5S and newer tablets IPad Air, IPad 5, IPad Pro, IPad mini 2 and newer ones IPad touch 6. When a message appears about the update, activate the "set" command, put the gadget on charge and connect to the Internet. Then you need to go to the settings menu, select the section "main", Further "Software Update". Next you need to activate the program "Download and install». You need to install the latest version of iTunes on a personal computer, connect an Apple device to it, and then activate it in the program. Next, open the tab "Review"And click"update». To remove the already downloaded firmware from the device, you must perform the following steps. Open the settings section on the device. Select the menu item "main». Go to the section "Using storage ...». Activate the command "Uninstall update». The screen does not turn on, some applications may not work. If the user's device is unstable with the new IOS, it is recommended to roll back to the previous version. ITunes will display a message about the restoration of the device. Accept the proposal to restore the factory settings. In the future, the latest version of IOS will be installed. You cannot roll it back to an older version.